Scott Milanovich, the Montreal offensive co-ordinator who has helped the Alouettes win two Grey Cups, is expected to be announced as the new head coach of the Toronto Argonauts, a source told The Canadian Press. The source spoke on condition of anonymity as the deal is not official. The Argonauts will announce their new head coach Thursday. Milanovich would be counted on to revive a sputtering offence in Toronto. 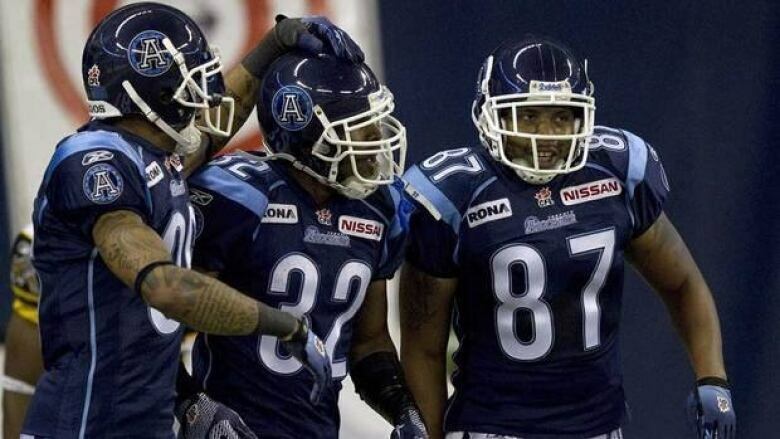 The Argos put up just 397 points in the 2011 season, seventh in the CFL. Only the Saskatchewan Roughriders scored less, while Montreal led the league with 515 points. Milanovich was hired as quarterbacks coach of the Alouettes in 2007, and was promoted to offensive co-ordinator in 2008. He was named assistant head coach in 2009. He has worked closely with star quarterback Anthony Calvillo, who became professional football's all-time leading passer this past season. Milanovich would take over coaching duties from Jim Barker, who will stay on as Toronto's general manager. Milanovich was offered the Argos' head coaching position two years ago, but he turned it down.